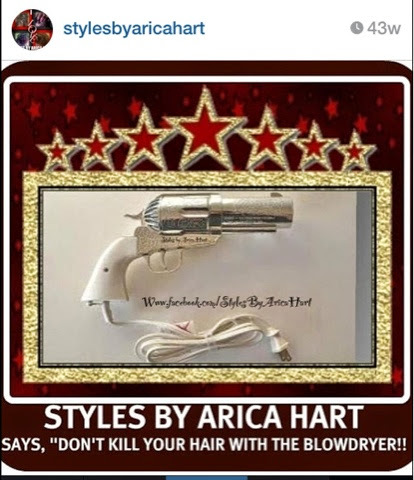 The blow dryer can be a deadly weapon to the hair cuticle if it's not used properly. We need to be careful with our tresses to help maintain its beautiful glow & healthy appearance; meanwhile, Growing Long And Healthy Hair that can be styled beautifully for our days out on the town. Always remember, to much heat on our hair can damage the hair cuticles, and start an unwanted cycle of events. Damage to the hair cuticle can leave the cortex exposed which causes hair breakage. Those little short spots that eventually appear in your hair when it is not taken care of properly. You shouldn't blow dry your hair every day; but if you do, let it partially dry to help minimize some of the heat damage. Use some type of heat activated conditioner or protector on your hair while completing the drying process. After all, we aspire to look stunning; instead of our hair looking like it was just in a forest fire. Yes, you want to have healthy hair and a flaming hot style that will knock the crowd out. So remember to take the proper Steps To Maintaining Beautiful Healthy Hair. Also be careful not to have the dryer to high that it burns the skin, nor to close to the ear because of the noise. 😎 Don't kill your hair with the BLOW DRYER "
How to use a hair dryer.